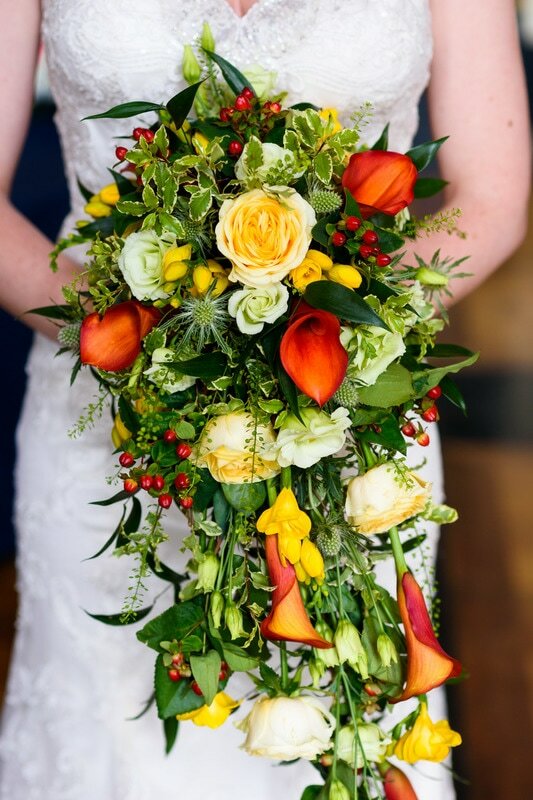 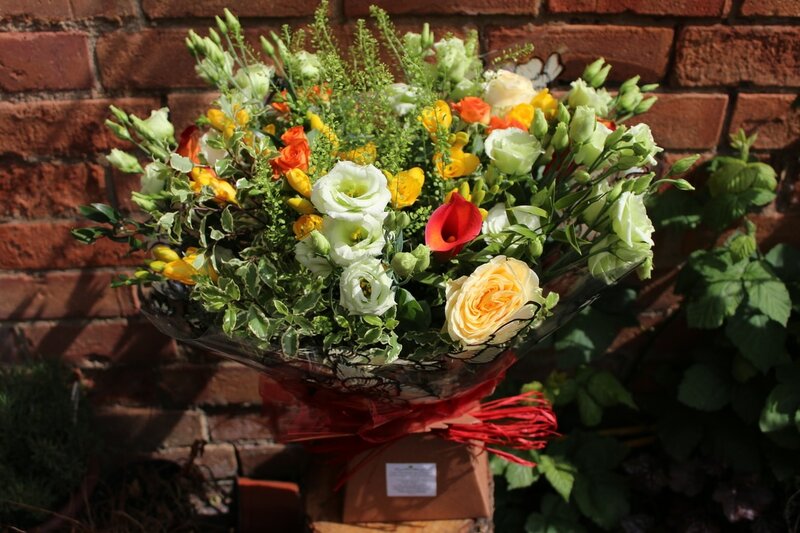 Rebecca & Carl loved their autumnal colours and earthy textures. 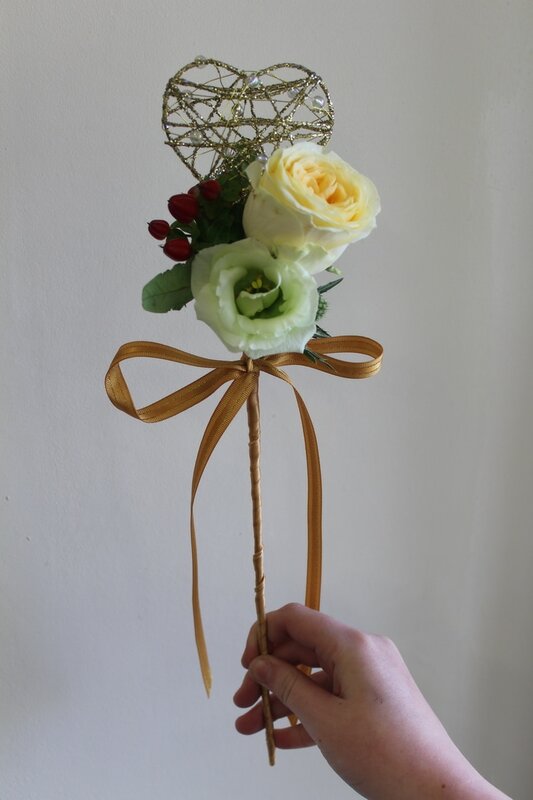 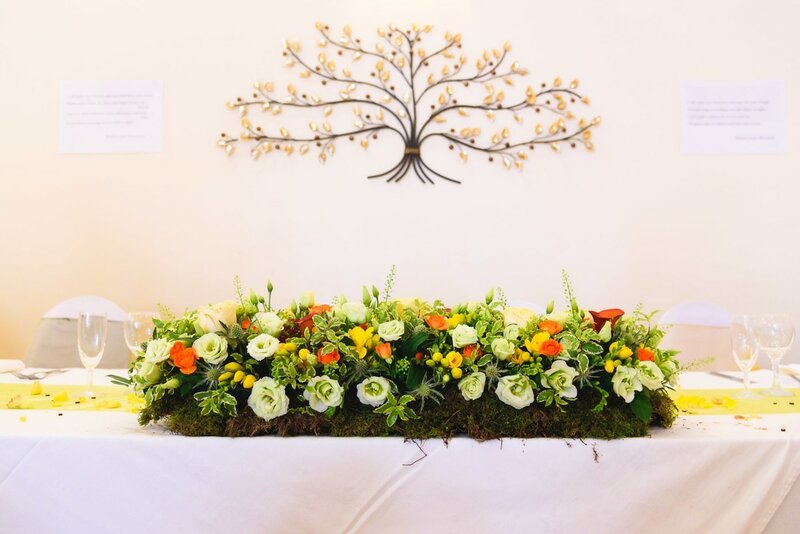 Carl left Rebecca to chose the flowers and design for centrepieces, little did he know Rebecca was picking a design she knew he'd love asa surprise. 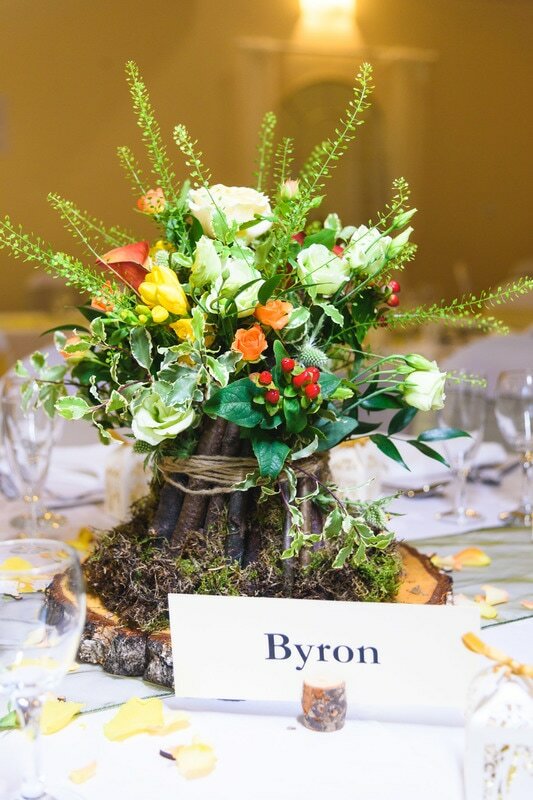 Carl loved the woodland theme so Rebecca chose a unique design for centrepieces with moss, branches and autumnal coloured flowers.